Wild Wonder Interviews — Annamieka: Artist. Let's Bring Your World to Life. Our first interview is with the brilliant Kelly Rae Roberts. I was super excited to visit Kelly Rae in her home in Portland, Oregon, where she has taken her artistic vision and applied it to many, many facets of her beautiful life. 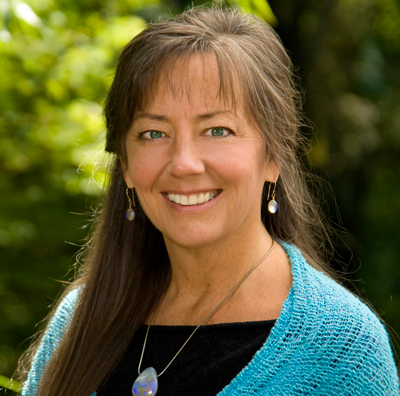 I thought she would be so wonderful to have as a part of this course because she truly has taken her art practice and made it a way to live her entire life with bravery, love and intention. Kelly Rae encourages us to listen to the whispers of our inner voices - and let those whispers guide our choices, in art-making and in life itself. Kelly Rae is a gift to the creative community! You might notice Kelly Rae's adorable bulldog, LuluButterButterBean, in the beginning of the interview. Later, you might notice a funny, loud, snoring sound - that is actually Lulu the Bulldog snoring! During our interview, she settled down and fell asleep, and actually ended up snoring quite loudly - oops! What can we do? Thanks for your patience with that sound. That Lulu dog is such a love! Kelly Rae, thank you so much for sharing your wisdom with us. It was such a treat getting to spend time with you! I believe that art heals (both the maker and the receiver of that art). I believe that we get to make our own rules, that we get to choose, that we get to craft the exact life we want. And when we do, we become fully alive. I also believe that we are meant for the complicated journeys of brokenness and wholeness, vulnerability and courage, wisdom and silliness. All of it. I’M ALSO AN ACCIDENTAL ARTIST. I spent my early career as a clinical medical social worker — counseling broken hearts, and helping others through the fights of their lives. It was powerful, important work, but my heart began to grow restless. In addition to learning painting techniques in Wild Wonder, we have several inspirational interviews with folks whose work explores the intersections between art, nature and humanity. This next interview is with my mom, Nancy Hopps! My mom is an artist, and as you'll see, she is also very passionate about creativity as a tool for healing and personal growth. I have spent my entire life watching her be incredibly creative across all the realms of life. She has so much to offer all of us as we embark on this adventure! I am so excited to share her with you all. I hope you enjoy the interview! Mati Rose McDonough is one my most powerful mentors and she has helped me to shape my art career. Her generosity and truth-telling is remarkable and I feel like she has so much to offer us as we begin painting this week. In this interview, we talk about her lifetime as a creative soul and how she really declared herself an artist and worked to make it happen. And we acknowledge how signing up for an art class is an act of bravery in and of itself! And so much more...there is so much goodness and wisdom in what she has to say, and I'm so thankful she was willing to share her story with us all here. Kristie Reddick is a professional scientist and science educator, and founder of The Bug Chicks. Kristie and partner Jessica Honaker are entomologists who hold Masters Degrees in Entomology from Texas A&M University. The Bug Chicks aim to turn fear into fascination by traveling the world to educate kids about insects. Kristie and Jessica have turned their Bug Chicks empire into a creative, world-wide phenomenon and they have a wonderful collection of videos which you can find on their website right here. It is a resource for parents, teachers, and bug dorks. Their educational talks are so entertaining I would watch them all day - clearly I am a huge fan. For Wild Wonder, I wanted us all to look at the natural world through the eyes of art and science, and I am very very excited to have an interview with a professional scientist for you. I often think that the worlds of science and art are very similar - in the desire to pursue discovery and share creative ideas, and the need to think outside of the box when it comes to putting together a career. Kristie Reddick's passion and knowledge about bugs has helped me develop a healthy fascination and respect for these diverse and tiny creatures, and see the natural world in a whole new way. I am in awe of everything that Kristie is doing, and I think you are going to be inspired by her as well! "I'm an artist who enjoys exploring nature, connecting with people and animals, and also traveling to new destinations - especially tropical ones! Painting has brought amazing friends and adventures into my life, and it continues to amaze and help me grow. Painting reflects life and teaches me how to push through the struggles, to stay light and daring! I felt a major life shift when I finally stopped denying my potent longing to paint. It was as if I had accepted my reality - I could see the world in a brighter light. Lily Uoka is a vibrant artist and one of my dearest friends. It has been so inspirational to watch her art career take shape. Her vibrant and unique style incorporates painting, collage, and mixed media. 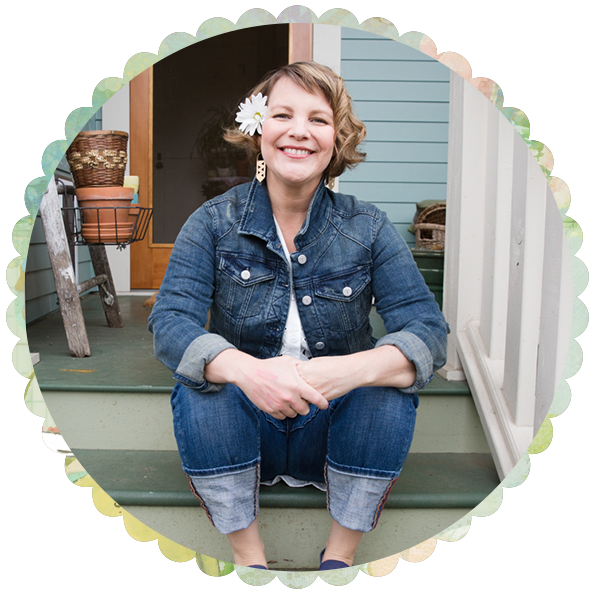 Lily teaches mixed-media art journaling, and her enthusiasm is infectious in the best way. Her whole life is art and she made her art be a way to connect with people and travel all over the globe. She has a lot of wisdom to share about the process of claiming the title of artist, what it's like to take your first painting class online, or your first painting class in a long time, and she is just really honest and wonderful and transparent about her experiences. I know you'll get so much out of listening to her interview! is wild wonder calling you? Did these inspirational interviews speak to your wild-at-heart nature? Yes? If so, sign up for the Wild Wonder -- now a self-study, instant access e-course. Wild Wonder is a self-guided e-course that takes you step-by-step through the creation of a layered, mixed media painting that is inspired by the nature you find nearby. Along the way you'll learn the basics of botany, and have prompts for reflection and self-discovery. It's an adventure that will re-connect you to your sense of wonder! Begin now and it's yours forever! And as a little gift, I'm happy to offer you 20% off the registration when you use the code WILDWONDER20. You can learn more about the course here, or click below to dive right in to Wild Wonder! Yes! I Want Wild Wonder! Wanna come along on the adventure with me? Sign up for the Wonderletters. I respect your email inbox and will only send you really thoughtful, resonant letters. & it’s easy to unsubscribe if you ever change your mind. Want to read past issues of the Wonderletters? Here are a few of my favorites. You can read more here! Do You Crave An Art Group In Your Life?